Is that it? Been playing a lot of Elite, man. It’s good stuff. Between my solo hunting and flying in what I’m calling the Hammer Wing, I brought my total war chest up over 12 million this weekend. 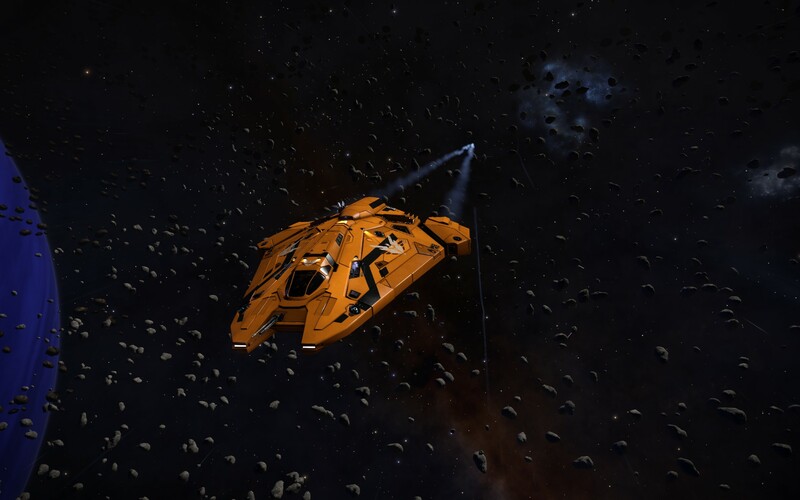 Ultimately I want to save up enough to buy a Fer-de-Lance. Is it the biggest ship in Elite? No. Is it the best? That’s subjective. None of that really matters to me. For me…it’s the look. It’s like a space Corvette. It just looks cool as hell. And I wants it. I’ve put a good amount of money into my Viper. I have the best version of anything that makes sense. So my current ship is pretty much as good as it’s going to get. 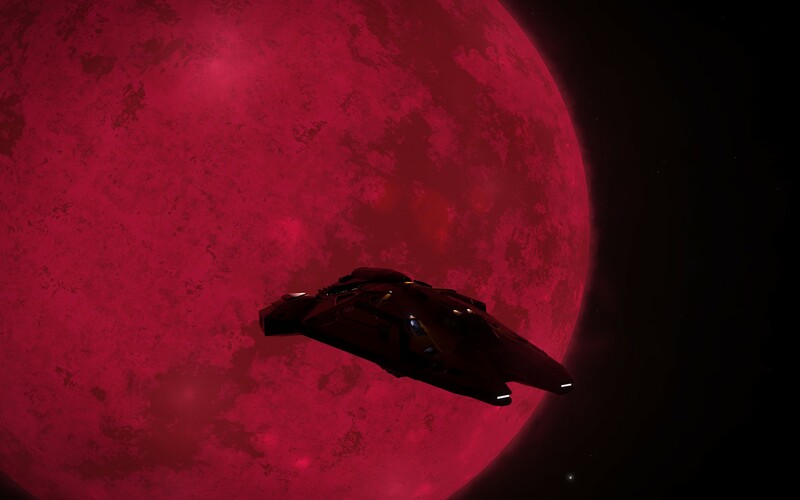 I’m looking at the Asp Explorer. And it’s expensive…the stock ship will burn through half of my reserves at 6 million. Outfitting it will have to come gradually as it’ll cost more than I have to put the comparable top grade components that I’m accustom to having. I’m also reading that repairs and maintenance for the Asp are pretty high. If I go this route, I’m not trading in my Viper to offset the cost. Mostly because I know I can make good money with that ship and the load-out I have on it. Plus if things go way south and I get myself into a position where I can’t afford the rebuy cost of the Asp, I have a way to make some decent money. The Asp is also more versatile than the Viper. With a few part swaps, I can turn it from a bounty hunter to an explorer with a 30+ jump range. Or a trader that can haul just as much as a Type-6. So this is my dilemma. Do I skip all this and continue bounty hunting with my Viper? Or do I basically reset my fundraising thermometer back to 0 and jet around in an Asp? The more I play Elite, the more things there are that I need to learn. Loud outs for ships was one of the things that I had the most trouble figuring out. How did modules affect other modules? What effect does the extra weight have on my jump range? WTF is power management? So I’m going to create a page on the blog to document all the different sources I’ve found through friends and searches as a guide for new players and reference to those that have somewhat found our space legs. This was triggered by finding http://coriolis.io/. I could spend hours on there just building different ships. I’m really digging this Asp Explorer that I build but I’ve parted it WAY out of my price range. I’ve set it up as a exploration/bounty hunting monster. 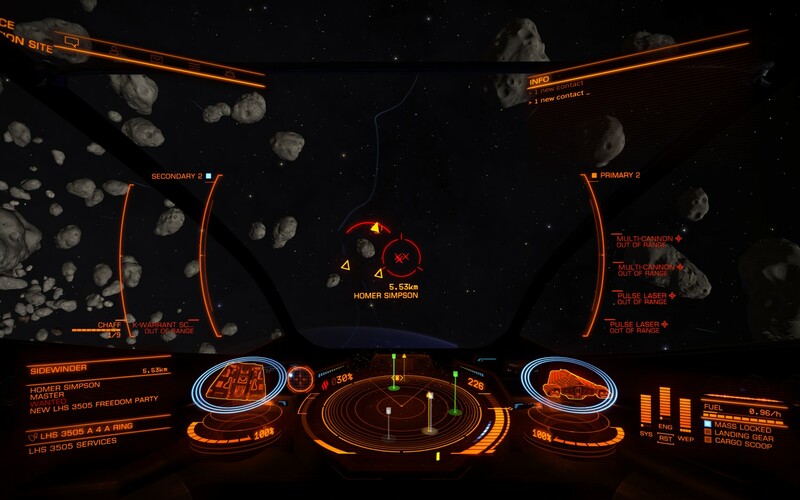 I might make that my immediate goal on my way to the Fer-de-Lance. That’s it! Just a quick update to advertise the new page and to ask you if you had any resources out there that you think my help folks figure things out. I didn’t get a screenshot of us in formation or anything because that would require us to fly in formation…And that’s really hard. I haven’t gotten a lot of flight time over the last week so this’ll be short and sweet.